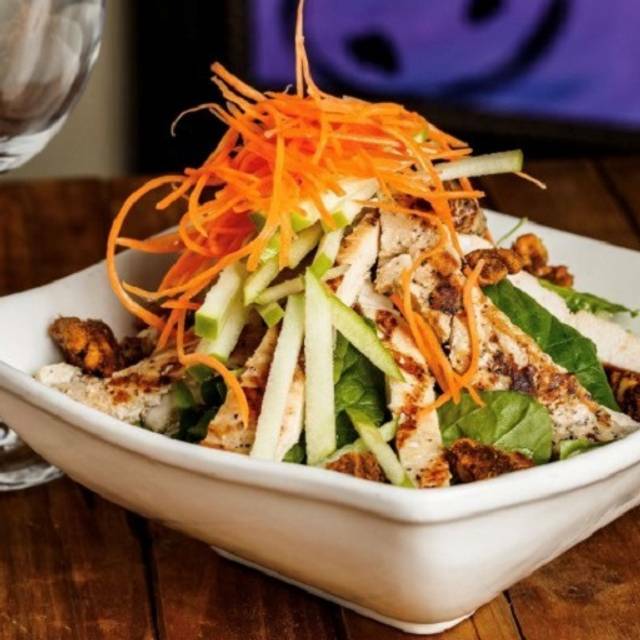 From our signature Mango Stuffed Chicken to our famous White Chocolate Bread Pudding...........We’ll bring the fresh flavors and delicious dishes right to you! 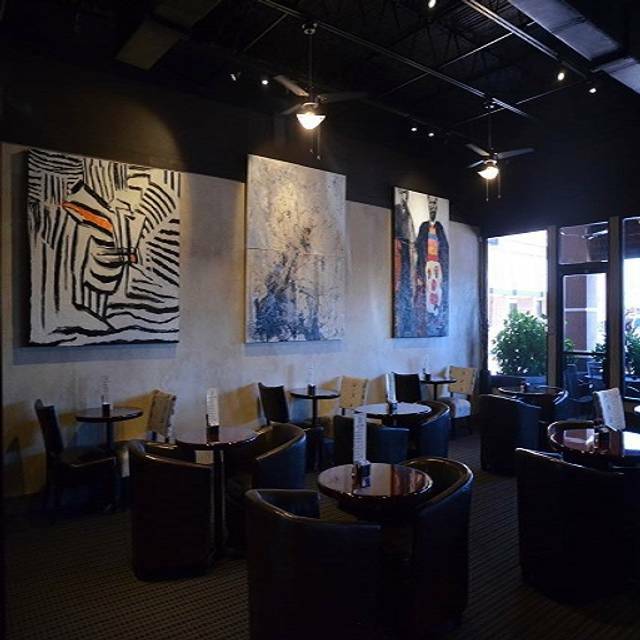 Mezza Grille is the perfect fine dining choice for an elegant private dinner party, celebration, or corporate event! Special note: absolutely NO outside food (including desserts) or drink are allowed. Since opening our doors in 2005, Mezza Grille excels at pleasing our guest’s taste buds with a unique fusion of flavors, steakhouse favorites, and fresh seafood. Whether enjoying lunch or dinner, our guests always leave satisfied and craving more! How do we know? 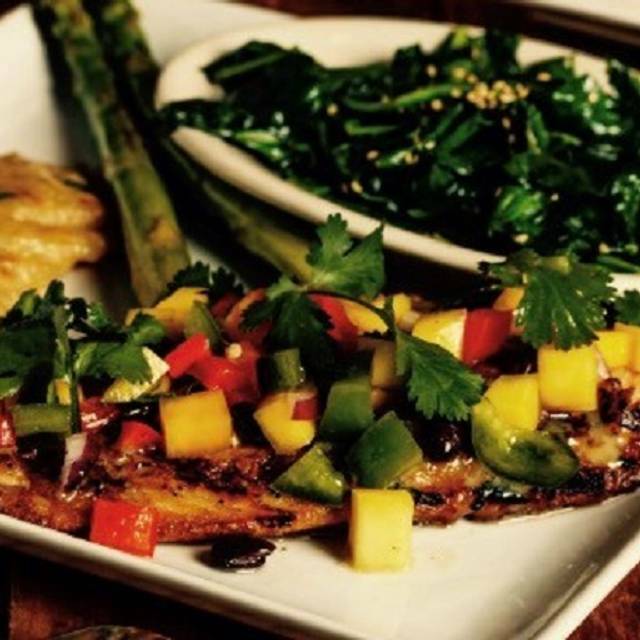 Mezza Grille perennially ranks among the top restaurants in Houston with stellar reviews on Yelp, TripAdvisor, and Opentable. We’re open for lunch and dinner seven days a week offering the best steak in Houston, fresh gulf seafood, and an extensive wine menu to pair with your meal. Over and over again our guests comment on the quality and freshness of our menu, while new guests say they wish they had heard of us sooner! 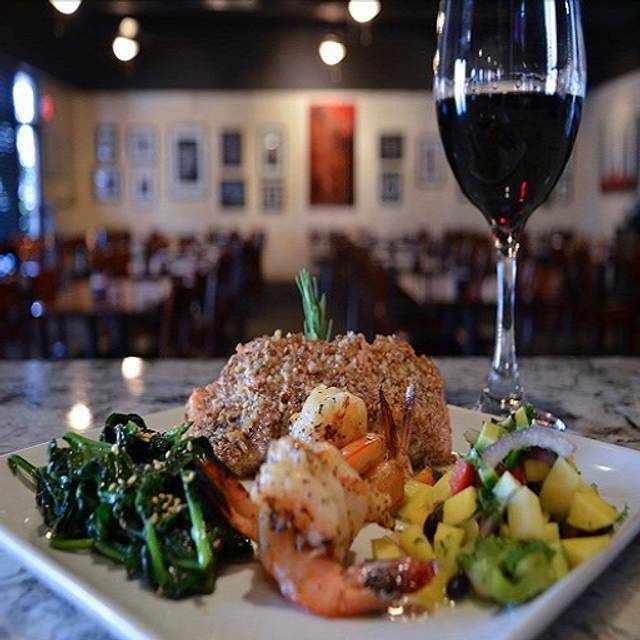 So Come in today and experience an exquisite fusion of flavor, and see why we are the Best Restaurant in Houston! *Note: absolutely NO outside food (including birthday cakes) or drinks are allowed. NO SPLIT PLATES ALLOWED; ABSOLUTELY NO OUTSIDE FOOD (INCLUDING DESSERTS) OR DRINKS ARE ALLOWED. 3 Pan-seared fresh jumbo sea scallops, grilled jumbo shrimp, spicy cherry tomato Mediterranean salsa, lemon butter sauce, & toasted sesame seeds with toasted French baguette. Two skewers of Texas Gulf jumbo shrimp, jumbo scallops, Scottish salmon, seasoned grilled vegetables, served with spicy black currant basmati rice. Two skewers of Texas Gulf jumbo shrimp, seasoned grilled vegetables, & spicy black currant basmati rice. 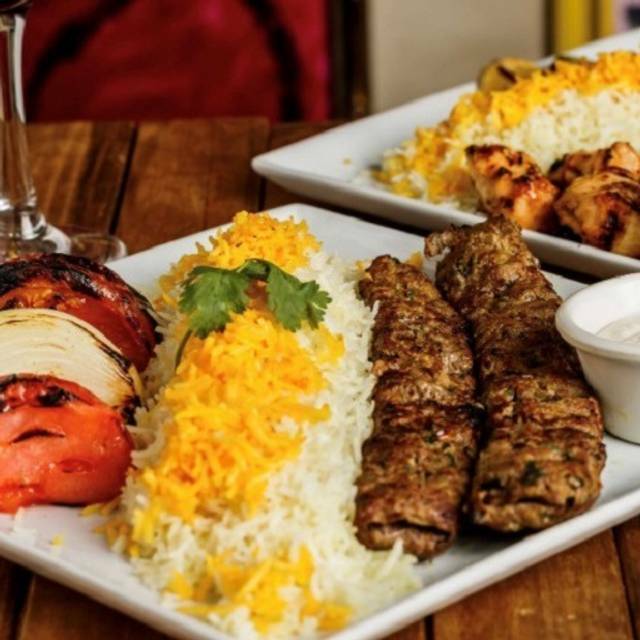 1 skewer each Shish Kabob, Shish Tawook, & Kufta; served with a creamy garlic sauce; a choice of rice, & grilled vegetables. My wife and I shared the scallops/shrimp appetizer and Snapper platter entree. The seafood was not fresh and rubbery. Cannot believe the high rating in trip advisor. It seems rigged! Excellent food and service. There were three of us and we all got something different. We scored the chicken dishes the highest. We shared an appetizer of calamari. It was lightly coated and not over-cooked. Some of the best we ever had. Also highly recommend the salad with goat cheese. It had some different ingredients than the usual run-of-the-mill goat cheese/walnut salad- excellent salad and dressing. Finally, the Negoni cocktails were excellent. Oh- and one person in our group has hearing problems and we were very impressed with the low noise level of the restaurant and appreciate that the music was not too loud. Hope it stays that way because we will be back soon. Whilst the food was very good do not go expecting a dining experience!!!! Still love this place! We have brought so many couples to this restaurant and always gotten rave reviews! Everyone in our party had the much ballyhooed mango chicken and as always it was excellent! So sad they ran out of bread pudding for dessert tho... Next time! The food was amazing! We will go back, and we plan to take friends. Delicious food and great service. Thanks for an enjoyable evening. Delicious! We will be going back! LOVED the menu and seafood options! We had said it was anniversaries and they didn’t do anything or remark about it. Food was great, waiter was very odd. He tried hard and was very attentive, but he talked too fast, too quietly and nonstop. First time I went to Mezza. I enjoyed the food, had the lamb chops. Excellent. We are foodies, and we love this place! The entire menu is great, and the place is well maintained and inviting. Just great! This is one of our favorite restaurants. This trip was not as spectacular as previous visits. There were multiple mistakes between the food server and the bar, which ultimately ended in us cancelling our drink orders. 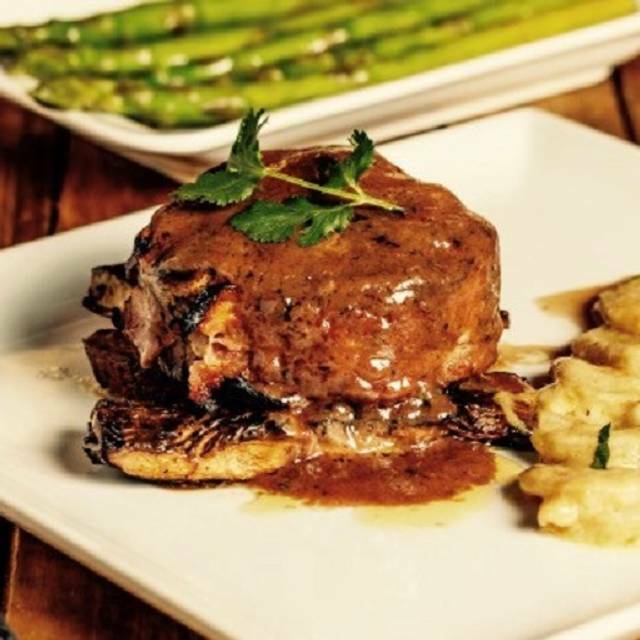 In the past we have had multiple dishes on skewers, risotto, stuffed chicken, salads and the pork chops; this time we chose the ribeye. While there was nothing wrong with the meat or the way it was prepared, the dish ultimately left us wishing we had chosen something else (underwhelming). The food and service are always great here. 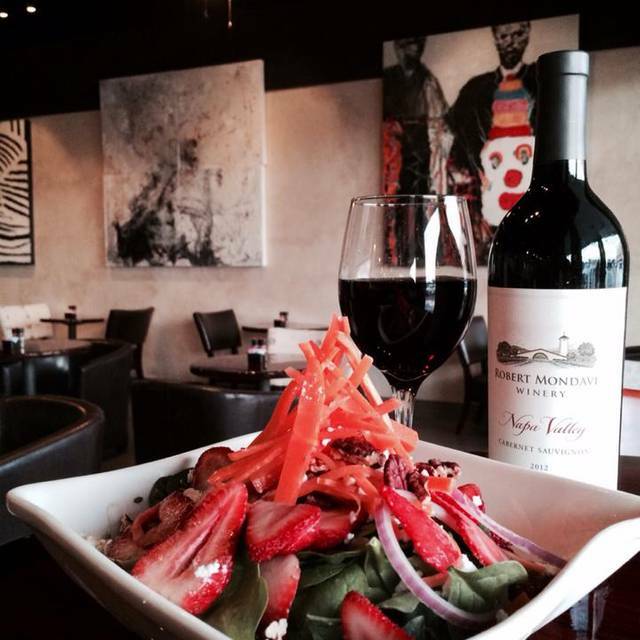 Wonderful selection of menu items and wines - fantastic service - salads and entrée items all delicious! Mezza Grille was a surprise find for us near the George Theater. Have and will continue to recommend. We had a party of six and no compalaints. Four of us had the seafood platter and two had the crabcakes which were excellent. The ambience of Mezza was very well received by our party of six. I would recommend Mezza Grille. We will be going back for a future visit. The food was incredible and a great value for the money. The house cabernet was very good and reasonably priced. Our server (Brianna) was friendly and helpful. I wish I would have discovered this restaurant years ago. Definitely worth the 45-minute drive from Kingwood. We will be back soon. We had a lovely meal. The seafood was fresh. Waiter was very pleasant and attentive. Restaurant lacked some ambience, a bit to cafeteria. Fantastic experience. We especially enjoyed the chipotle tenderloin pasta. 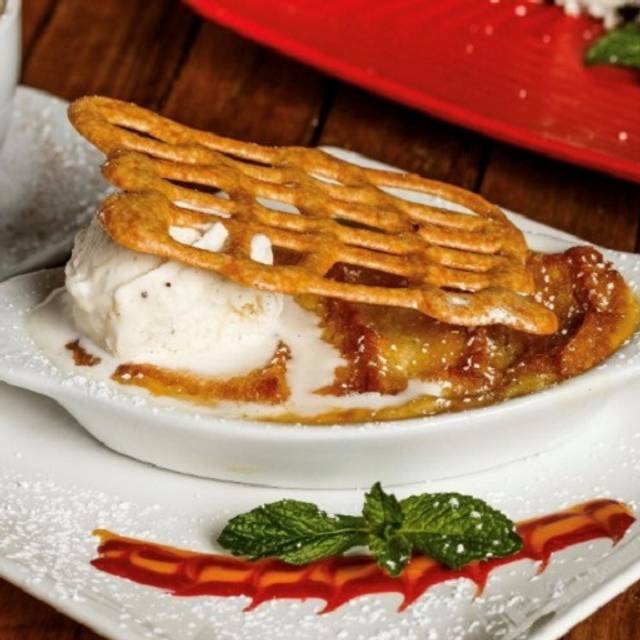 For dessert, get the white chocolate bread pudding! Went on Valentine’s Day and we got seated right when we walked in. Service was amazing and the food was wonderful!! Will be going back. Phenomenal. Tina our waitress is exceptional and knows how to make you feel special. Top notch service. This is one of my favorite places to eat. There is such variety and such delicious flavors in the food. Brianna, our waitress is amazing and efficient. Highly recommend. Food is delicious, a bit pricey for the ambiance and some dishes like anything with beef ( kabobs ) are very stingy on portion. The tortilla soup is fantastic, spinach stuffed chicken tasty and large portioned, we enjoy the cinammmon rice and the complimentary oil and chips upon seating. Look at the menu before you go, will be licking your chops! But be prepared for a metal table, fairly noisy interior. Really 3.5 stars but I upgrade to four because of my favorite dishes! 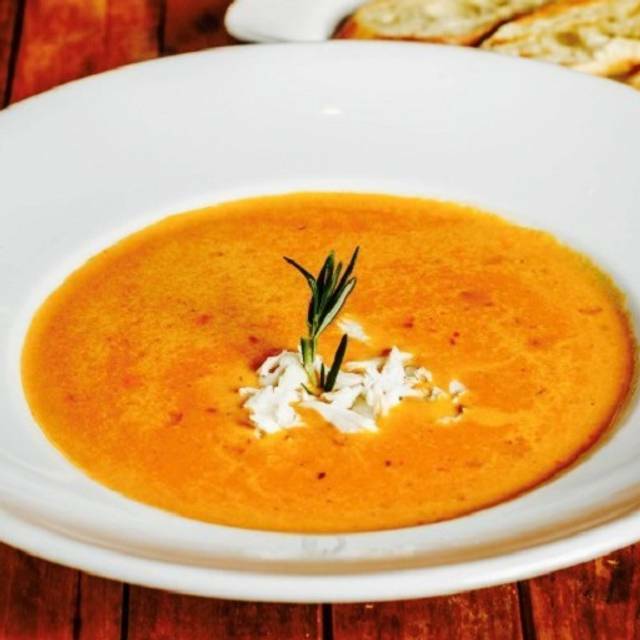 This restaurant serves incredible tasting foods with top quality ingredients! Best hummus we have ever had and the salmon was cooked perfectly. We can’t wait to come back when we are in town. Great food, great service! Parking was easy and it 's the perfect atmosphere for a date. Heard this place was amazing. We were in town for a concert. Red snapper was amazing. He had the skewers. Service was amazing. Hibiscus martini and pear martini were fabulous. The experience at Mezza Grille was somewhat underwhelming given the reviews I had read. Nothing really negative , just somewhat “blah’ experience. Still one of my Houston favorites! We always love this place which is consistent quality of food and service. The only negative is they started accepting reservations for only up to 6 people last November. We regularly have had 10-14 after Saturday night church. Don't understand this. The food here has a great presentation and it is always good! The wait person we had last time was not the greatest but we won’t let that keep us from going back. Went for my husbands birthday and the Fried Calamari was very fresh. The Lamb Chops were perfect. The Snapper was perfect. The Steaks were melt in your mouth delicious and the Cesar Salads were even done very well!! We will be back! Great place to dine. The service was good and the food was delicious. I would definitely recommend this place to friends and I plan on coming back soon. The food and service was excellent. We came to town to visit. Our friends or ourselves had not been here before. We will definitely return.